Betty Oare…An amazing rider yesterday and today! 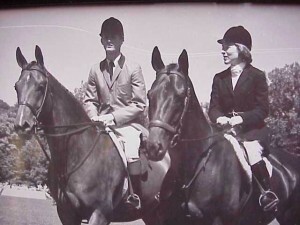 In addition to Mary Chapot, one of several female entries in the 1965 Cleveland Grand Prix, was Mrs. E.M. Oare riding Navy Commander. I interviewed Betty for the book and she shared her amazing story of riding her top hunter in the first grand prix in North America. She loves the picture of the parade with her friend and fellow Virginian Rodney Jenkins aboard Blue Plumb. A true horsewoman, the brave lady said the horse was wonderful and the only rail they pulled was her fault. Here are a few photos from Ken Kraus that didn’t make the book due to space constraints. 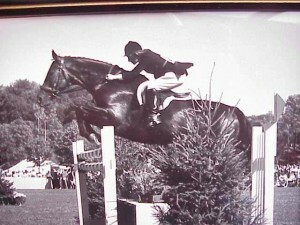 Previous PostWhat is Happening With the Cleveland Grand Prix and Horse Show?